BeefTalk: The big 60 means 60% calved in 21 days! The big 60 means that 60 percent of the cows calved in the first 21 days of the calving season. That is achievable, doable and good. Sixty percent was the goal. 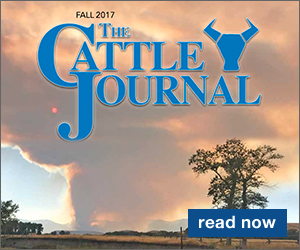 The evaluation of the cattle business is ongoing, and producers always should take advantage of the quick and easy ways to evaluate the operation. Calving time is here or soon will be, so it's the best time to make the mental note and paint it on the barn wall. What was this year's number? In this case, start by counting the number of cows kept for calving. I mean all the cows kept for calving. This includes the ones behind the barn and every other pasture or pen affiliated with the operation. After calving for three weeks, count the number of cows that have calved. The answer should be 60 percent or greater. This probably is the simplest, yet greatest indicator of the current managerial success of the cattle operation. For those who meet or exceed the 60 percent threshold, there should be a pause for self-appreciation. Continued monitoring of the managerial efforts should keep the herd working. For those who greatly exceed the 60 percent number, production is good. However, before your exuberant exclamations are made, check the financial sheet. Sometimes excess production actually comes at a significant expense. For those who did not make the 60 percent rate, failure to achieve it means a failing grade. Sorry for being harsh but the business world is harsh and few condolences are made. However, do not sulk. Instead, reassess all that is going on in the operation. Excuses, excuses, excuses. Has one ever taught school? After a very thorough exam, students often have an excuse if the exam grade was not what was expected. Too much work, too much to do, too many places to be or too many friends to visit. The reality is that there was too little studying. Cattle producers, as with all people, often are no different than students, just a little bit older. However, the results of an evaluation often also are met with excuses, but moving forward is critical, and evaluations are part of that process. 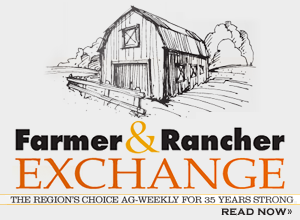 The baseline data benchmark that is utilized to come up with the 60 percent calved in the first 21 days of the season comes from the North Dakota State University Extension Service through the North Dakota Beef Cattle Improvement Association's database. This database is used to calculate the typical performance of beef cattle herds by analyzing those herds that utilize the cow herd appraisal of performance software program. The current benchmark for the percentage of cows calving within the first 21 days is 61.1 percent, which includes the production years of 2009 through 2013. The 60 percent goal is very realistic. In fact, if one goes back to the 1999 benchmark that includes the years 1994 through 1998, the percentage of cows calving within the first 21 days was 57.2 percent. Cattle producers are improving reproduction, which is indicative of the good management and selection criteria for the cows and bulls within the herd. What about those who are not quite where they want to be in terms of having the cows calving early in the calving season? It might be management or genetics, so each beef producer needs to sit down and self-assess the operation and how the operation is meeting the demands of modern beef production. The evaluation always is health-related. Is the herd health program adequate? A trip to a consulting herd health professional is a good choice. Once herd health is covered, points to consider are nutrition, nutrition and nutrition. The bottom line is that cows that do not breed on time following calving have not had their nutritional needs met. The answer to the problem is twofold. A producer can re-evaluate the nutritional inputs and increase them or find a genetically different cow that will perform with the nutritional inputs available. The choice is up to the producer. Keep in mind that the amount of feed available is important, and so is the timing and availability of the feed in relationship to the current gestational or nursing status of the cow. How much do the cows weigh and milk? How much feed does each cow require? What feed is available? How is the environment affecting the feed requirements of the cattle? Are all the cows able to eat or is the competition strong within the herd? Can the cattle be sorted? Is the production stage and feeding regime matched? All these questions and more need an answer, especially when the percent of cows calving in the first 21 days is below 60 percent. Keep searching for the answer.